WASHINGTON (CN) – The Department of Justice on Monday filed an antitrust lawsuit against media giants AT&T and Time Warner in an attempt to block their proposed $85 billion merger. According to the 23-page complaint filed Monday afternoon in U.S. District Court for the District of Columbia, allowing the two companies to combine would raise prices for television subscribers by cutting out competition and making it difficult for potential disruptive technologies to carry popular programming. “If allowed to proceed, this merger will harm consumers by substantially lessening competition among traditional video distributors and slowing emerging online competition,” the complaint states. “After the merger, the merged company would have the power to make its video distributor rivals less competitive by raising their costs, resulting in even higher monthly bills for American families. The merger, first announced in October 2016, would bring together two of the largest telecommunications companies in the world. In a statement announcing the merger, AT&T highlighted it is “the world’s largest provider of pay TV,” having acquired DirectTV in 2015, while Time Warner owns HBO, TNT, TBS, CNN and other well-known networks. Time Warner also holds rights deals with the National Basketball Association, Major League Baseball and the NCAA men’s basketball tournament, giving it access to live sporting events that are considered particularly valuable in the age of the DVR because fans are more likely to want to see them live. The Justice Department reportedly requested Time Warner to sell off CNN for the merger to be approved. According to the complaint, bringing together AT&T’s large distribution service with Time Warner’s wealth of networks that produce their own content would give the merged company more leverage during negotiations with other distributors looking to carry the popular networks. The Justice Department says competitors would likely pay more to carry networks like TNT and TBS out of fear their customers would leave for AT&T, which would be guaranteed to have those stations if the merger were to happen. AT&T would also know when competitors decided not to fork over more for the networks, allowing it to target the competitor’s customers with ads for its service, the government argues. Though vertical mergers like this between two companies that are not direct competitors typically receive easier treatment from the government, the Justice Department argued this effect would be particularly harmful to consumers. “The merged company’s bargaining leverage as a seller of programming would thus increase, and not through the offering of lower prices or a superior product or service offering, but directly because of this proposed merger,” the complaint states. In addition, the government argues higher prices for popular shows like those Time Warner’s stations carry would create too high a financial bar for new technologies trying to break into the market. 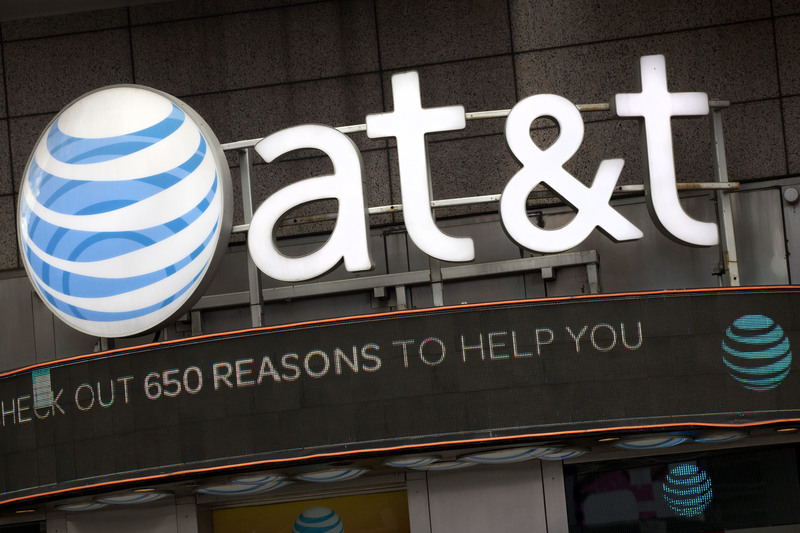 In a statement released after the news of the lawsuit broke on Monday, AT&T’ senior executive vice president and general counsel David McAtee noted vertical mergers like the proposed deal typically do not spur government action. But the Department of Justice claims the proposed merger violates the Clayton Act, an antitrust law Congress passed in 1914. It asks the court to put in place an injunction that would block the deal. While not unprecedented, a lawsuit by the feds to block a merger between two companies that are not direct rivals is rare, said Prasad Krishnamurthy, a professor at the University of California, Berkeley School of Law who specializes in antitrust issues. Krishnamurthy said because few cases involving vertical mergers go before courts, it’s hard to predict how the case will play out. He also noted the theory the government should be more eager to block these types of mergers is one that typically has more currency within liberal administrations, as Republicans generally favor a more hands-off approach. Further compounding this is swirling speculation that the Justice Department is making the move because of Donald Trump’s public feuds with CNN. Krishnamurthy said it’s difficult to tell if the companies could bring this up during the court battle, or how they would use it because such a claim is unprecedented. “It will largely depend on the court and how willing the court is to believe these mergers can harm competition and how much deference they’re willing to give the government in what is largely a prospective case,” Krishnamurthy said in an interview. If the government was to win a preliminary injunction in court, Krishnamurthy said he would expect the Justice Department to use that as leverage to convince the companies to take steps to ensure the merger does not harm competition. This is often the goal of such antitrust suits, Krishnamurthy added. “All of this is a big elaborate song-and-dance that usually ends in settlement,” Krishnamurthy said. In the past, that has meant the government forces promises of taking no actions that would lead to anti-competitive effects. But Krishnamurthy noted Delrahim is on the record saying he believes these remedies are difficult to enforce. As a result, the Justice Department might be more likely to ask the companies to sell off portions of their business if it is able to win an injunction.